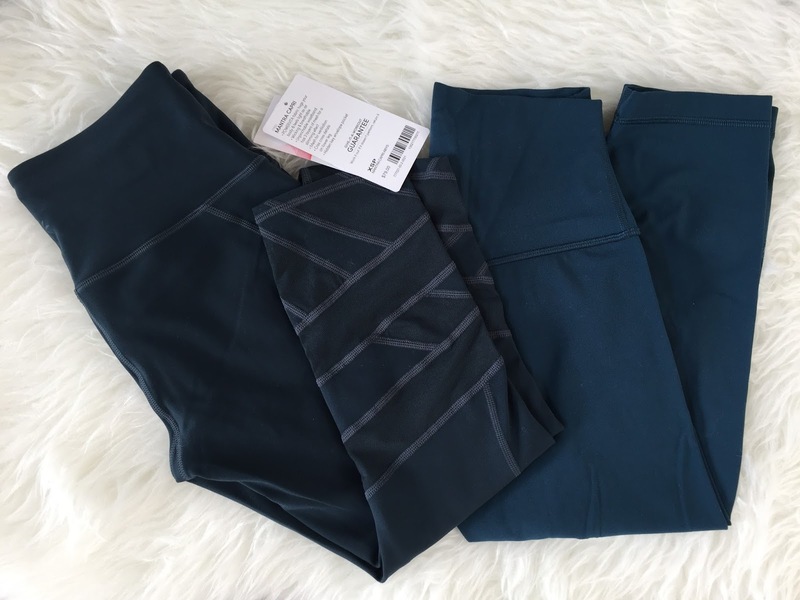 Petite Impact: Fit Review Friday Athleta Mantra Capri + July 4th Sales! I Bought from the carbon 38 sayang collection too! I got the legian pullovers in black and beige. They are both gorgeous. I wore the black yesterday and loved the fabric and the weaving of the back of the sweater. Keep me warm yet cool with the indifferent weather we have been experiencing. A note: need to watch the stitching. My beige one has some loose stitches on the back at the "v" that make me nervous. Hopefully it will be fine, waiting to hear from carbon 38... otherwise quite a stunning collection! The gili hoodie looks really tempting. Hopefully I will not break and purchase that too. the leggings are also super pretty but they would be too long for me. Would lose the pretty design with my short inseam. The Gili hoodie is really cute, but I'm not sure if it looks too baggy on me. I guess when I see the photos from this weekend's shoot, I'll decide then. I agree with you on the leggings, super cute but way too long on my short legs, so that was an easy pass! Glad you love the pullovers. I was debating on the pullover vs the hoodie but ended up going with the hoodie. I do think the weaving will be hard to maintain, especially through the wash. I haven't looked at the tags to see if it is hand wash only. Washed my black pullover and it was fine. Used a laundry bag with a mild detergent. Laid flat to dry. Looks great so far. Love the mantra crops on you! 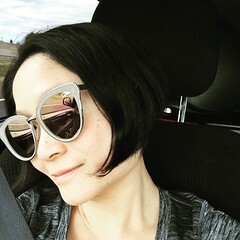 I hope you enjoy them 😊 I have worn them a couple of times now cycling to and from yoga and for sweaty Ashtanga 😀 they are really comfortable and stay put. Thank you for the recommendation! I hope Athleta keeps up the good work for us petites! Would love to see them in a purple color. The mantra capri look great on you. I have the same and it is one of my favorite purchases this year. The white one is completely sheer and not in the amazing powervita fabric so it was an easy return. My faded zap energy bra and intended tank are getting here today. Love the faded zap color and hopefully it does not fit too tight to give me armpit fat like some recent energy bras. The intended tank has potential but may be cut too low in the back for my petite frame. I am debating with the onesie since it will likely not fit me right. Has anyone received it yet? Oh I didn't realize the white isn't made of the same fabric. Good to know. I am supposed to receive the Onsie today. Hopefully it will be there by the time I get home from work tonight. I'll keep you posted! Those Mantra Capri's look awesome on you!! Can't wait to see your reviews for the haul! And yes ^ Amherstlulu, some of the recent Energy Bra's have bit a little tighter / less stretchy than before. But then a few of the recent ones are okay. I dislike the inconsistency, especially in speed shorts. I hope I actually get enough light over the weekend. Checked the weather and looks like rain for the next 3 days! I can't wait to see your fit reviews! I am petite too and am waiting for my chase me onsie to come in from my order this week. I have a short torso so I'm hoping it fits ok. I agree, these are a lot more flattering than Lulu. Even better than their 7/8 lengths. I would say these are about as flattering in fit as my Align Crops. I never need more leggings, but these are too good!